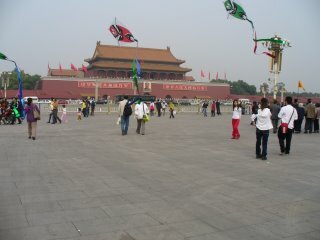 When you look at Tiananmen Square today, it's hard to believe it was the site of a brutal massacre. 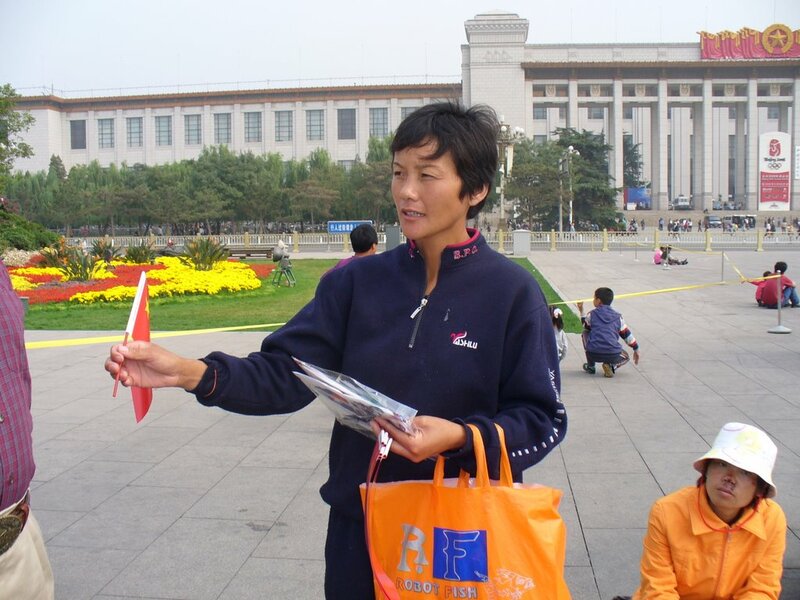 Like the mall in Washington D.C., it is a place where children play and people gather-- as long as they don't talk politics. 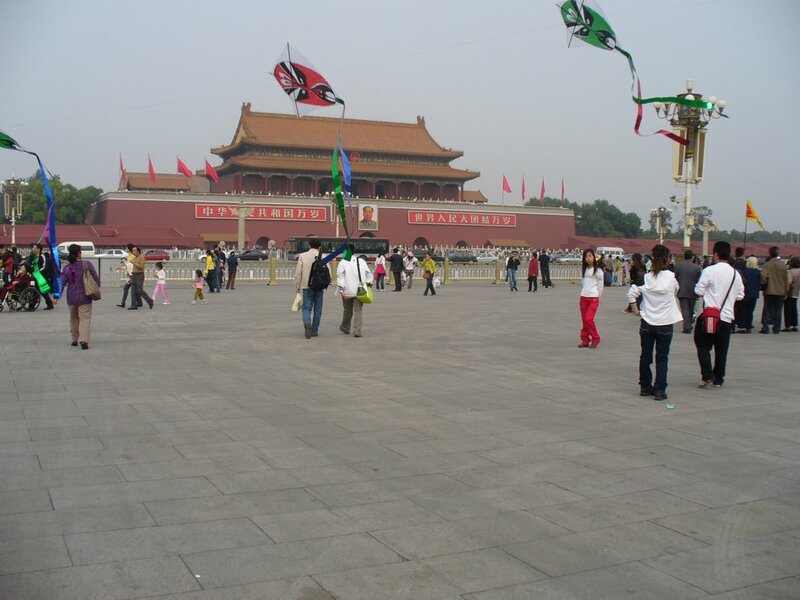 Above: Children flying kites, with Mao's larger than life picture in the background. Below: woman selling small Chinese flags.